Taking off from Entebbe and heading out over Lake Victoria, the thunder storms were in the distance to the north still raging. The lake looked beautiful as I flew east towards Kilimanjaro. I have heard of many people trekking up Kilimanjaro and thought this would be a fantastic thing to do myself. So much so that I would easy add this to my personal bucket list. As I travelled over the planes of Africa I tried to keep an eye peeled for any animal life roaming below. Although the simulator does allow for wild animals, unfortunately I didn’t see a thing. The majority of the terrain during the flight was pretty flat, all except for 2 large peaks rising from the African floor. 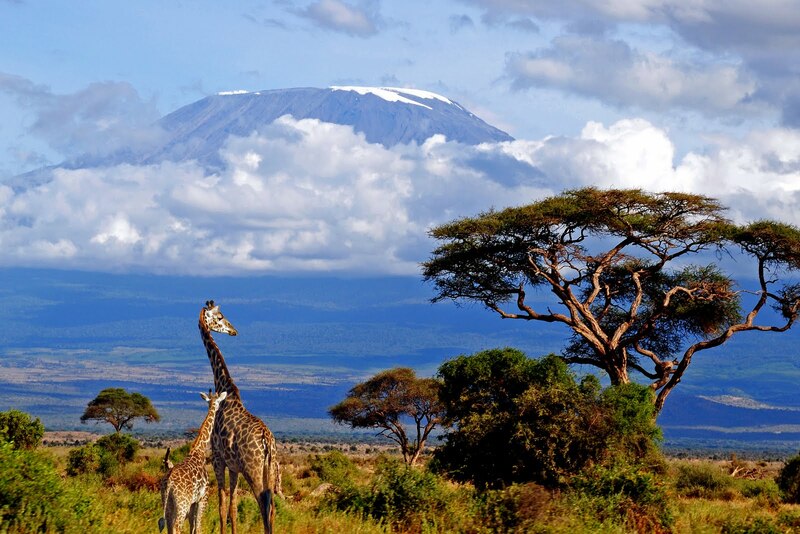 One being mounts Kilimanjaro and the other, Mount Meru. I took my plane up to Kilimanjaro and spent an extra hour circling the summit in an attempt to gain altitude. My Beech Baron 58 simply wasn’t up to the task and although getting pretty close and doing 3 complete laps, I never managed to get the summit below my wings. In honesty this just added to the impressive nature of such a large mountain of 19,341 ft above sea level. Simply to get my own view from the top of a “mountain” I climbed the Pentland Hills in Edinburgh as way to bring a little bit more reality to the trip. At 1900 ft, this excursion cannot even be compared to Kilimanjaro 5 day trek. After watching videos online of other people who have reached the summit, I have only increased my desire to climb Kilimanjaro myself. If anybody wishes to sponsor me, I jump at the chance to arrange this and make sure the any funds go to an extremely worthy cause. Wow indeed. Over a year on and I am still in awe at the size of Mt. Kilimanjaro. I still want to climb it.